It is supposed to be the most fantastic vacation you’ll take in your lifetime, but for many modern couples, the honeymoon after the wedding is put on the backburner. Factoring in the decorations, attire, entertainment, and more, most modern weddings cost around $25,200 — and that’s without the expense of an exotic post-wedding trip. With the tradition for parents paying for the party long gone, couples today are having a hard time scrimping and saving enough for their nuptials, let alone an extravagant vacation afterwards. Luckily, if you have your heart set on a lavish honeymoon, you don’t necessarily have to let your fairytale wedding suffer. 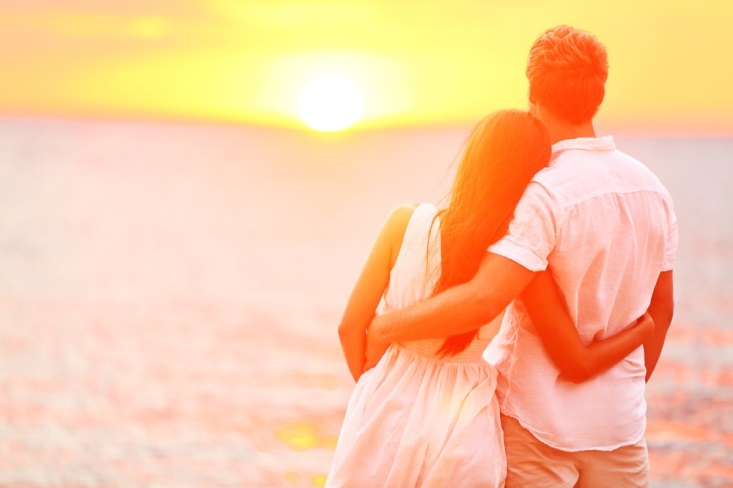 With a few simple tricks, you and your new spouse can have a fun and romantic trip that you’ll be talking about for the rest of your lives. Since cohabitation before marriage is increasingly common among the current generation, most couples don’t exactly need typical items you might find on gift registries of the past: fine china, silverware, kitchen gadgets, etc. Thus, instead of simply doubling (or tripling) the junk in your house, you and your beloved can request wedding guests contribute a monetary donation to your honeymoon fund. In lieu of physical gifts, most attendees will likely be generous with their contributions, and you may be able to scrabble together enough for a luxury vacation from your wedding guests alone. More likely, however, you and yours will have to match what others have provided to procure enough funds for honeymoon extravagance. While the American dollar is impressive currency in many regions of the world, it certainly has lost its power in many others. For example, traveling to Europe will severely damage your savings, as the dollar is only worth about three-fourths of a euro. Still, there are plenty of marvelous destinations around the world where you can get more bang for your buck. Niagara Falls is world-renowned as the Honeymoon Capital of the World because of its cheap prices and excellent attractions, but you may also look at more exotic locales like Eastern Europe or South America. If you’re willing to be open-minded, you and your significant other could opt to drop the whole expensive deluxe vacation in favor of a nearly free honeymoon. There are plenty of cheap alternatives, from road trips to camping, for couples willing to have a more unusual honeymoon. At the top of your paper, write down your total amount available for the trip. Having this number in an easily visible area will remind you what you have to work with. Make a list of all possible expenditures during your vacation. While transportation and food are going to be your biggest costs, don’t forget any of the little things like forgotten sundries, travel books, and souvenirs. Budget more money than you expect. Especially for food and gifts, you will likely be enticed by sights and smells more when you are away on your trip, so having a little wiggle room in your budget is important. Of course, the best and hardest step in using a honeymoon budget is sticking to it while you’re away. If you fight off the happy delirium of the honeymoon fugue state, you should be able to spend smartly and stay in the green for the duration of your vacation.